A year ago today, I watched my first Combat! episode – “Forgotten Front” – which is why I’m writing this post (I have a big thing about my fandom anniversaries). Originally, it was going to be all about what Combat! means to me and why I love it, and so on and so on, but I figured that’d probably be boring to everyone but me and I might as well write something semi-useful instead. (And, YES, this post is useful because I’d recommend any of these episodes to you if you’re interested in the show but don’t know where to start.) But allow me a couple minutes to reminisce: I remember after I watched “Forgotten Front”, I sort of went crazy and watched a bunch of episodes in just a couple of days (all from Season 1, and some of them weren’t the greatest, but I was totally hooked anyway), and then I went to Elisabeth and said “You’ve got to watch an episode of this with me tonight!” and said “Okay, but we have to watch Hogan’s Heroes tomorrow night.” (She thought it’d be boring.) So, we watched “Far From The Brave”…and then “Any Second Now” the next night. (That’s when she fell for Hanley.) And then we began watching the episodes out of order and Doc became my favorite character and we had so much fun and we bonded over the show which I love. Now it’s just a regular part of our lives – and I love that, too. ~”Far From The Brave” – Burt Kennedy’s episodes are always good, and I have nothing bad to say about this episode because it’s got just about everything: emotional impact, plenty of good fanfic material (because of Grady Long), the squad, Brockmeyer, Billy and Littlejohn interaction, and a great ending. ~”Any Second Now” – Probably my favorite Hanley episode. Taut, interesting, educational (I now know everything I need to know if a German time bomb ever gets dropped near our house)…excellent stuff. ~”One More For The Road” – The baby is adorable, the squad is adorable when interacting with the baby, Brockmeyer gets LINES and CLOSE-UPS (let me tell you – Elisabeth and I are rather obsessed with Brockmeyer), and again, I loooove the ending. 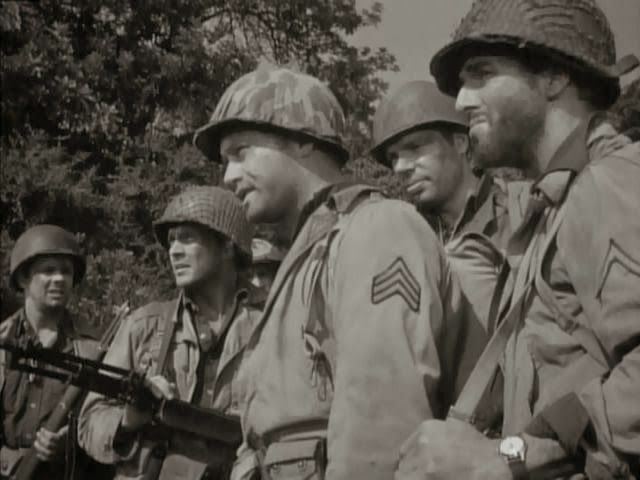 One of my favorite performances by Vic Morrow in the whole series. ~”Hill 256″ – Courtroom drama! Love it! Caje and Saunders have to clear Kirby’s name, and it makes for a wonderful episode. Also, Conlan Carter’s cameo as an MP is great. 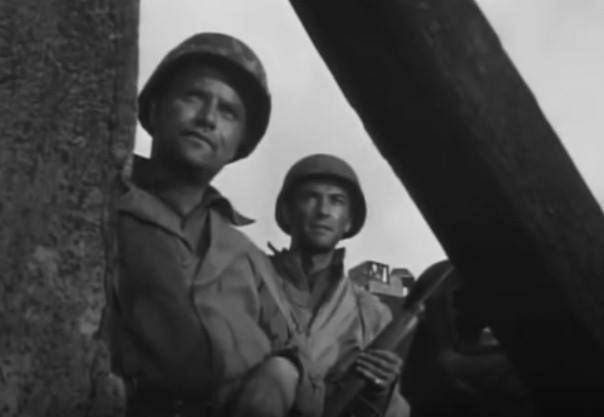 ~”Next In Command” – Burt Kennedy does it again with another squad episode that involves our guys being, for all practical purposes, trapped in a building with Germans surrounding them. Again. And more Billy/Littlejohn dialogue AND more Brockmeyer. C! doesn’t get much better than that. ~”Bridgehead” – I consider this episode a dry run for “Hills Are For Heroes” and it’s almost as powerful. 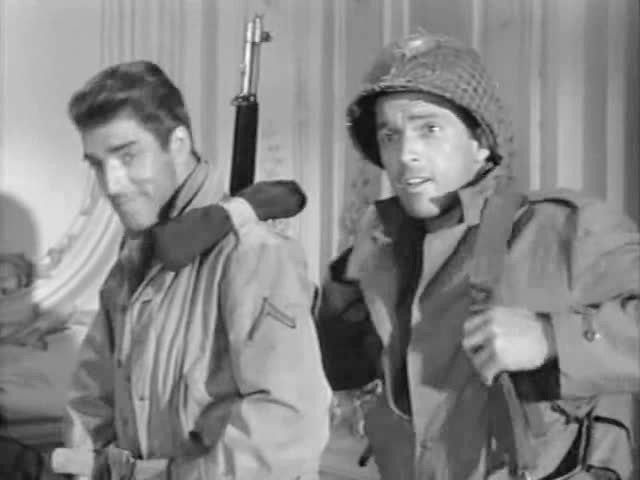 Doc and Billy and Littlejohn get good scenes and Nick Adams’ character is a jerk, but it was neat seeing him anyway, and overall it’s a serious, thoughtful episode. ~”Masquerade” – Because James Coburn. Also, infiltrator episodes are just plain cool. ~”The Hostages” – Of course I’d have this one on here, devoted Doc fan that I am. This is such a tense, well-written, well-acted episode, and I think Mark Richman makes a deliciously creepy villain. And Conlan Carter…wow. He does SUCH a good job. AOSIDJFOWELIWJRFFLSDOIEWI. 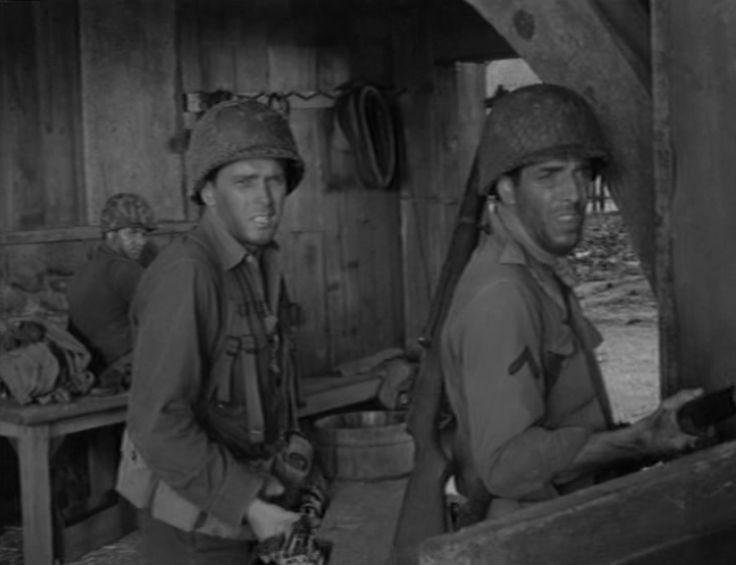 ~”Mail Call” – Out of all the episodes of Combat!, I think I’ve seen this one the most. Everyone in the squad participates in the plot, there are plenty of memorable quotes and scenes, and I love how everyone rallies around Saunders + tries to figure out what’s wrong by talking among themselves. And Trenton’s always amusing, seeing him make an idiot of himself. ~”Losers Cry Deal” – I’ve talked about this episode a lot (probably too much). BUT IT’S JUST SO GOOD. ~”The Hard Way Back” – Seeing how everyone deals with the (supposed) death of Saunders turned out to be pretty devastating, actually, and I always like it when big, serious stuff happens in my favorite shows/movies/books, so that was a plus for this episode. And most of it tense and awesome with Saunders and Kogan trying to escape, and I liked that. ~”A Gift Of Hope” – AVERY. He’s awesome. The dynamic between him and Saunders alone makes this episode worth watching again and again. ~”Billy The Kid” – Andrew Prine was great in this episode and I liked the cleverness of his plan and the way that none of the guys left Saunders after he told them they could all go – except for that sergeant who came back at the end, so it was sort of like the thing with Harry in Mag7, only he didn’t end up dead. A good episode, all around. ~”A Cry In The Ruins” – I’ve seen a Rat Patrol episode with the exact same plot, and they both had the same writer (Edward J. Lakso), so go figure. I like both versions, but C!’s is better, mainly because there was more time to develop the plot/characters – I reeeeally liked Hanley’s ‘double’, Lieutenant Marcus, and it was neat to see the parallels between our guys and the German squad, sorta like in “Anatomy of a Patrol”. ~”The First Day” – Actually, I’ve seen this episode more times than “Mail Call”. I love it that much. It’s practically perfect in every way. ~”Hills Are For Heroes” – So is this one. I don’t watch it too often, ’cause I don’t want the impact of the final scene (or, really, any of the scenes) to be lessened. Though I doubt that could ever happen anyway. 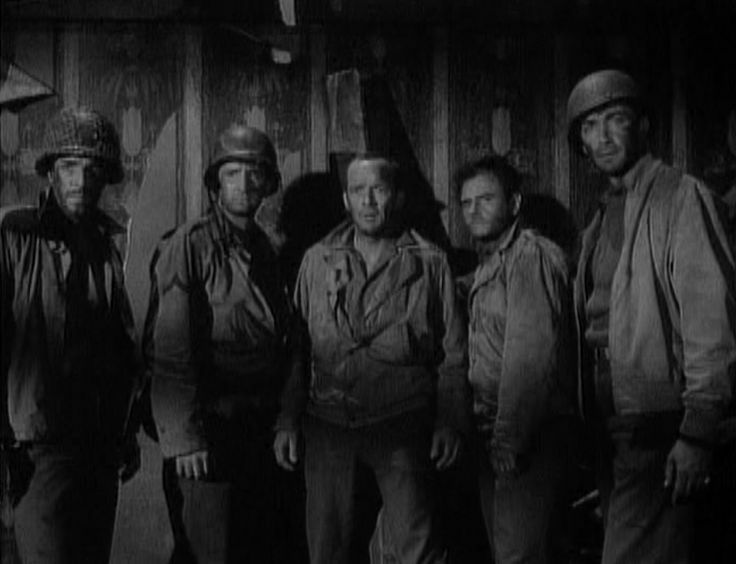 There are all sorts of little poignant moments throughout the whole thing, as good as any war movie I’ve ever seen, and I don’t know why it wasn’t released as a movie – the three-part Rat Patrol episode “The Last Harbour Raid” was. ~”The Leader” – Kirby is AWESOME in this one. It’s such a good episode overall, with a little pocket of guys holding out against a major German offensive, lots of casualties piling up, Kirby at the top of his game where new ideas are concerned, and there’s lots of tension and action. Wonderful. ~”Entombed” – Elisabeth’s and my favorite episode to watch together. Lots of good scenes through the whole thing – a sweet (though doomed) love story, an adorable (though doomed) friendship between a GI and a German private, a lovely (and not doomed) father-daughter relationship, and lots of intriguing scenes between Hanley and Angsty German Lieutenant. ~”Cry For Help” – Almost as good as “The Hostages”. Robert Duvall brings a brilliant note of extra-super-duper acting skills to this episode and Conlan Carter does his usual amazing job, acting-wise, as well. A nice, quiet, thoughtful episode about what it means to be a medic. I love this one. Robert Duvall! Isn’t he the guy that was in all those Western movies back in the day? I watched “Dateline” recently, and while I thought the concept was good, there seemed to be something…I don’t know…lacking? It seemed like there wasn’t enough dialogue – all the characters did a lot of staring at each other. I thought the guest star character needed some more lines to explain his character better. But there were some good bits – the part where they faked the brawl to cover up his trying to yell for the guards was awesome. Okay, let me tell you…I haven’t seen “Far From the Brave,” “Mail Call,” or “Hills Are For Heroes” yet. Those seem to be some of the top episodes that always come up when fans are talking about the show. I guess they should be next on my list! 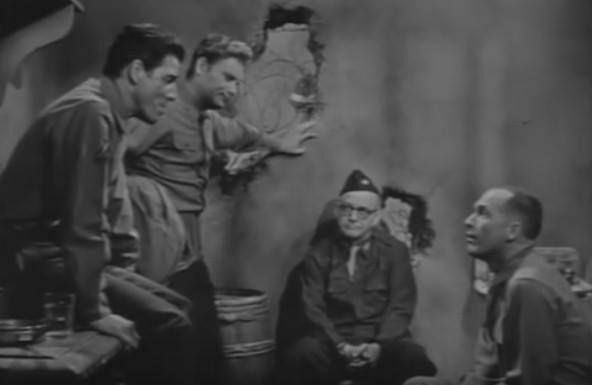 Admittedly, it’s been a while since I saw “Dateline” (and I’ve only watched it once), so I don’t remember too much about it other than the fact that I liked the POW camp angle. Maybe I should re-watch it this afternoon. I’d recommend that you watch “Far From The Brave” first, but only because it would fit the chronological order. 🙂 And I think I like it a bit better than “Mail Call” anyway. 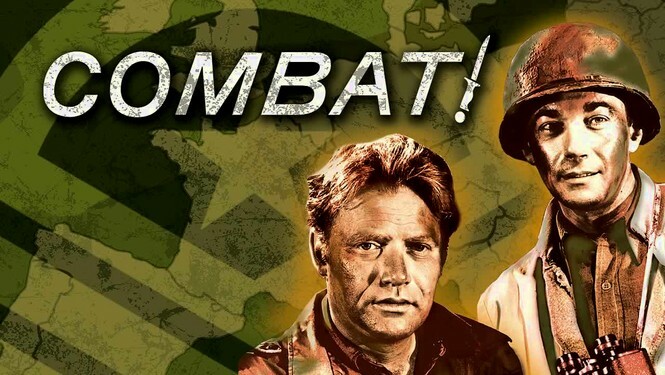 2 terrific episodes are “anatomy of a patrol,” with saunders and a german sergeant (james caan) trying to outwit one another, and “cat and mouse,” with saunders and a fellow sergeant (albert salmi), who can’t stand each other, but do what they can to survive. Yep, those are both good episodes. Great list! Far From the Brave, One More for the Road, Long Way Home, Losers Cry Deal, Gift of Hope, and Masquerade would make my own list. A couple of these I haven’t seen yet (Entombed and Cry for Help). Been saving a few of the fifth season eps for a rainy day. Oh wow, you know the date you saw your first ep! That’s excellent! I wish I knew mine — I just know it was sometime in 1994. I feel like maybe I’ll post this on my blog too — I haven’t blogged about C! for a while, and that’s just silly. Thanks for the idea! Well, with the internet, everything’s pretty well documented and it’s easy to backtrack. We had quite a long conversation of this post of yours about C!, which is how I figured out what the exact date was. A lot of my favorites are among the original 50+ eps I had when I was a teen. In fact, only “A Gift of Hope,” “Anatomy of a Patrol,” “The Hostages,” and “Mail Call” are more ‘recent’ in that I hadn’t seen them until the DVDs came out in the mid-2000s. So 4/5 of these are eps I have loved for more than half my life — the longer I’ve loved something, the more tenaciously I cling to it, heh. I might round this up to 30 and do a three-part posting about it, because I don’t have eps like “Hills are For Heroes” on here that I do love a ton too. Hmm. 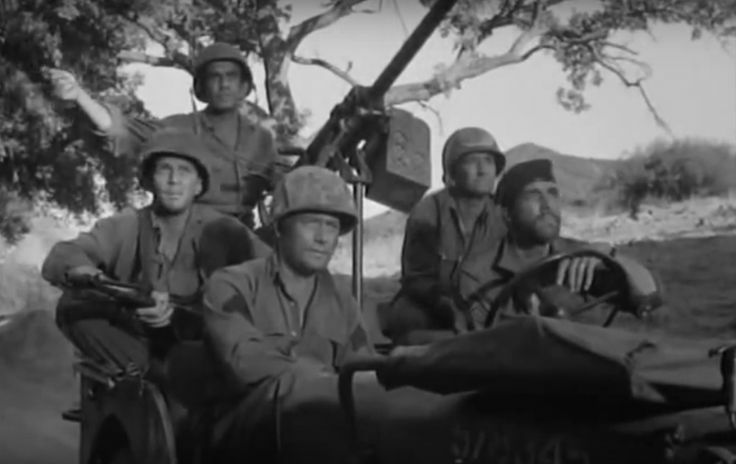 I’m a little late to this, but “What are the Bugels Blowin’ For,” a two-part Combat episode, is better than most war movies I’ve seen. It’s a really great set of episodes, to be sure!